The more perceptive reader may have concluded rightly that I am a fan of cheese. In fact, while we were in the Netherlands and Belgium, it wasn’t the chocolate shops that I wandered blissfully through, eyes alight, heartbeat elevated! The scope and variety of cheese was a revelation- aged Gouda, epoisse, geitenkass both young and old- and I happily tasted my way through. While a simple homemade macaroni and cheese is bliss, this is a recipe that makes it into a little more of a rounded one-dish meal. I recommend a snowy night, a fire in the fireplace, and a bottle of dry white wine to go with. 6 ounces of macaroni, penne, or whatever tube pasta you like. Fill a big pot with salted water and get it boiling over high heat. Break the cauliflower into florets. Add it all at once to the fiercely boiling water and then bring the water back up to temperature. Cook the cauliflower for about 1 minute, just until it is still a bit crisp. Drain it into a colander very thoroughly. Remember, water has no flavor, so you don’t want the cauliflower to water down the sauce. Leave it in the colander to finish draining while you busy yourself with the rest of the dish. 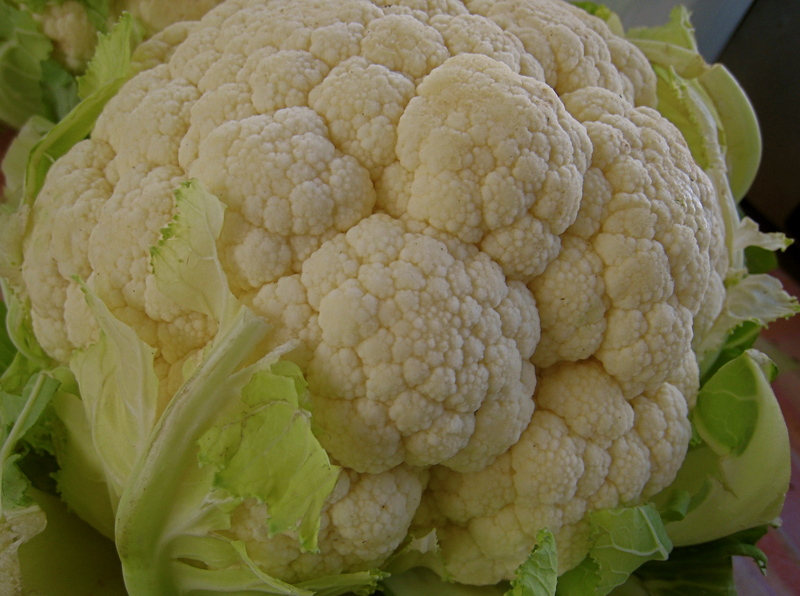 Alternatively, the cauliflower can be broken up and roasted in the oven for about 20 minutes. This takes longer, but has the benefit of concentrating, intensifying, and sweetening the cauliflower’s flavor. In a heavy saucepan or large skillet, cook the bacon until it is crisp and browned. Then remove it from the pan and drain it on a paper towel. Leave about 1-½ tablespoons of bacon fat in the skillet and sprinkle the flour into the pan, stirring to form a roux. Cook, steadily stirring, over medium heat until the flour becomes fragrant and golden brown. Pour in the Marsala wine and stir it into the roux. It should foam up and hiss and sizzle; reduce until almost all the liquid is evaporated and the flavor is concentrated. Slowly whisk in the milk, stirring to remove any lumps. Bring to a simmer and cook until the sauce coats the back of a spoon. By this, I mean that your spoon should have a coating of sauce that does not immediately fill in the track left when you run your finger across it. Taste for salt. Remove from the heat and stir in the grated cheese. Cook the pasta to slightly underdone in salted water. Drain it thoroughly. Add the cauliflower and bacon to the pasta and stir them together. Pour the cheese sauce over and mix gently, until all of the pasta and cauliflower is enveloped in the creamy, cheesy sauce. Bake in a buttered ovenproof dish at 350 degrees for about 30 minutes until the sauce is bubbly throughout. I use a dish with low sides to up the crusty golden brown top to creamy luscious interior ratio. Grate a little bit of cheese over the top and return to the oven until the top is melted and golden. Please don’t feel bound by my cheese recommendations- I recommended a couple of readily available favorites. Fontina, or Gruyère melt beautifully and are full of flavor. My only caution is that milder cheeses such as Monterey jack, Colby, or mild cheddar may not offer enough to give the sauce the flavor desired. Sounds Yummy. I have made something similar for a dairy free mac and cheese. However, I am sure it is way better with oodles of cheese!! !